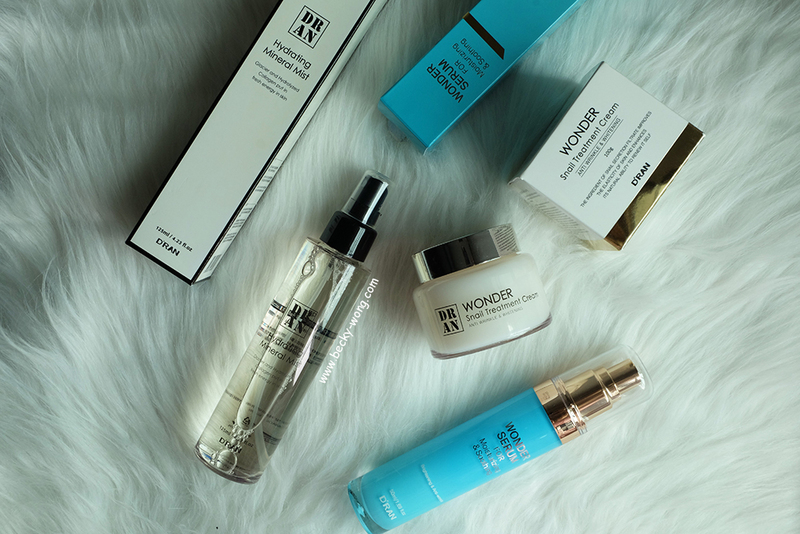 Still looking for a skincare solution that meets the needs of your skin? Not wanting to slab on too much chemicals on the face, and looking for something natural? Or, you have yet to invest in any good skincare simply because of the costs of doing? 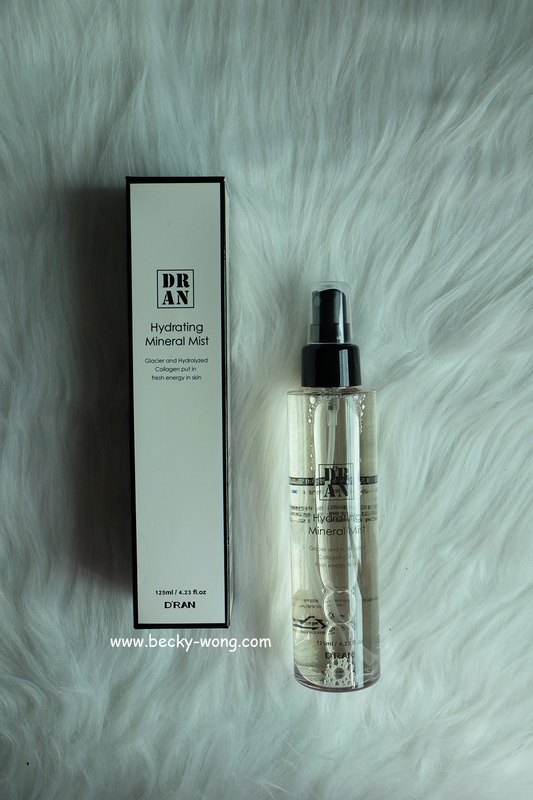 If so, I would like to share with you a new skincare from Korea that I've been trying out - D'RAN. 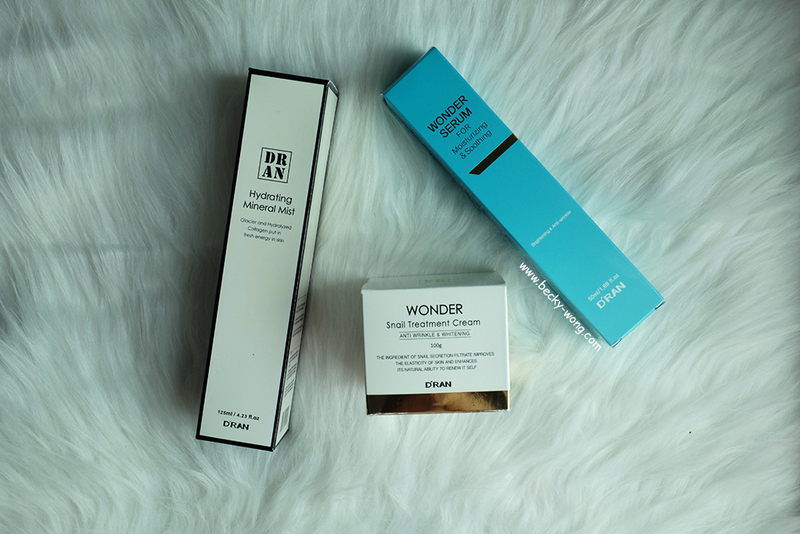 D'RAN Korea skincare, a skincare brand featuring natural and dermatology science, with no animal testing skincare range. 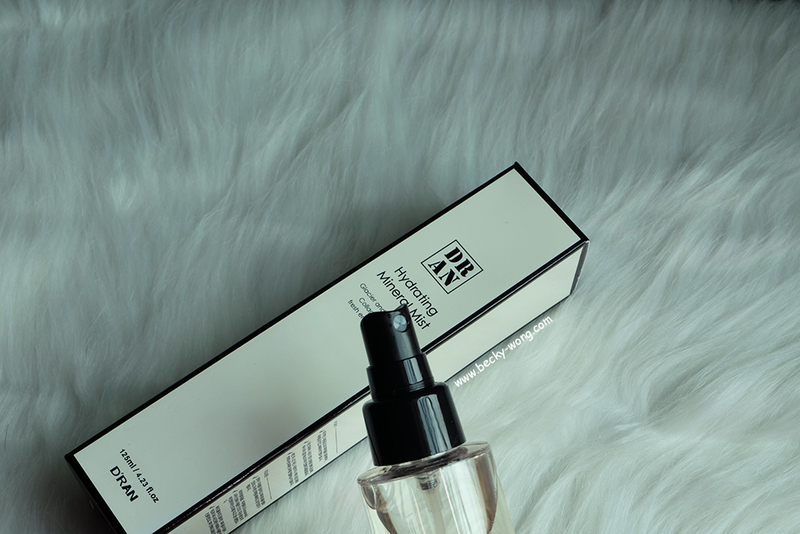 D'RAN offers multi-functional and effective luxurious skincare ranges with premium quality, and yet at affordable prices for optimum healthy and beautiful skin. 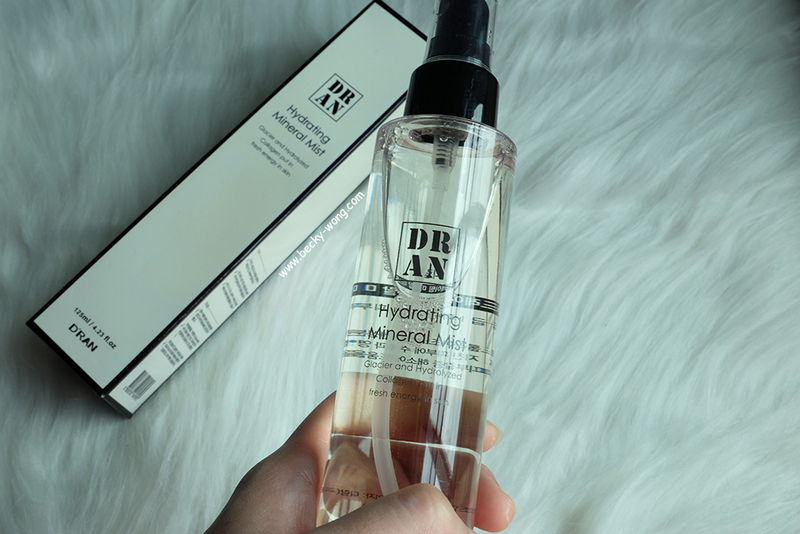 First, let's start with D'RAN Hydrating Mineral Mist to prep the skin after cleansing. 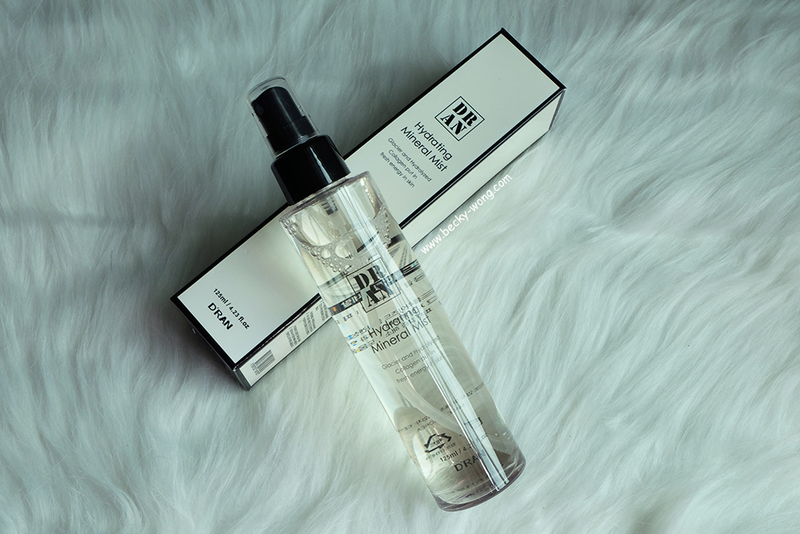 The mineral mist works as both toner, as well as a facial mist that can be sprayed onto the face as and when the skin is feeling dry and need to be hydrated. Alaska Glacier Water - The 6 mineral ingredients in Alaska Glacier Water gives a cooling effect and moisture the skin. Witch Hazel Extract - Helps to calm delicate skin, pore-tightness and sebum control. It also helps to improve elasticity and achieve smoother skin texture. Hydrolyzed Collagen - Hydrolyzed collagen, which contains more than 20 amino acids, is absorbed easily and quickly to the skin. It helps by giving the skin a healthier and plumper look. Personally, I use the facial mist more as a toner. After cleansing my face, I'll spray the mist all over my face and gently pad till dry. Remember not too position it too close to your face, and it is recommended to place it around 20cm away from your face. The plus point of the product? You can carry it anywhere you go, and use it anytime you need to "replenish" the moisture in your skin! Oh, it can be used to set your makeup too. After prepping the skin, it is time to "feed" some moisture into the skin. 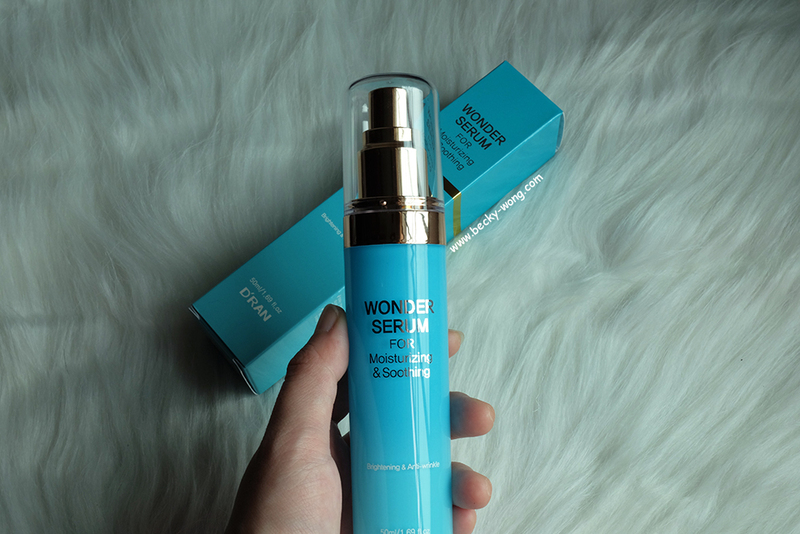 And with this, I'm currently using D'RAN Wonder Serum for Moisturizing & Soothing. This is probably the lightest weight serum I've ever used. The serum is said to be suitable for all skin type, especially for sensitive and irritated skin. 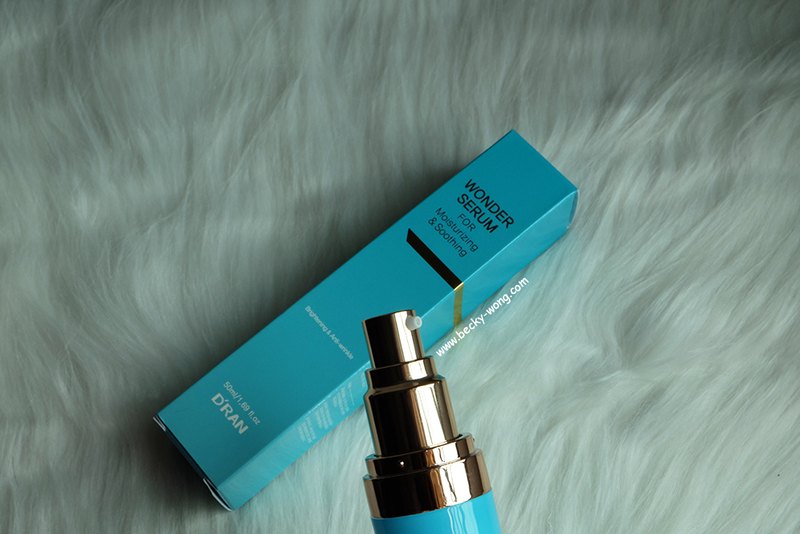 The serum offers moisture and calming effect, leaving the skin soft and clear. 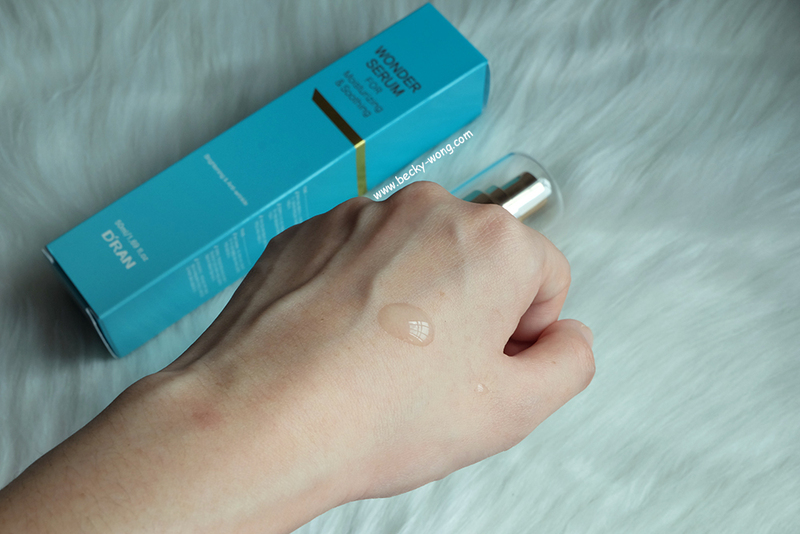 Sea Complex - 7 types of seaweed extract, containing abundant effective nutrients and moisture, giving you a smoother and softer skin. Moisturizing Ingredients - Hyaluronic Acid supply abundant moisture to the skin. It takes care of sensitive skin and helps to prevent moisture lost at the same time. Soy Bean Fermentation Extract - Helps to calm and moisturized the skin, keeping the skin feeling fresh. The serum is in a transparent watery-gel form. 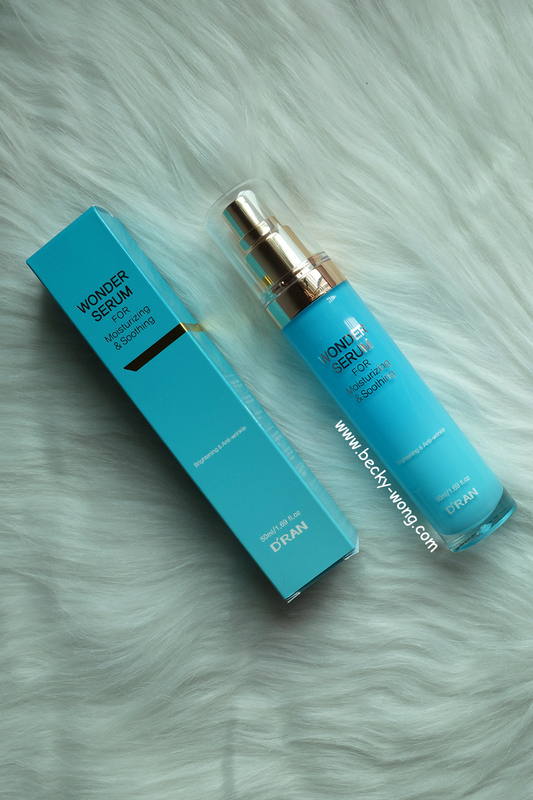 2 pumps are more than enough to apply the entire face; and due to its light weight, the serum get absorbs into the skin very fast. However, it does leave a little bit of sticky residue for a slight moment. 1. Dry skin type that needs frequent care. 3. Dull and tiring skin. 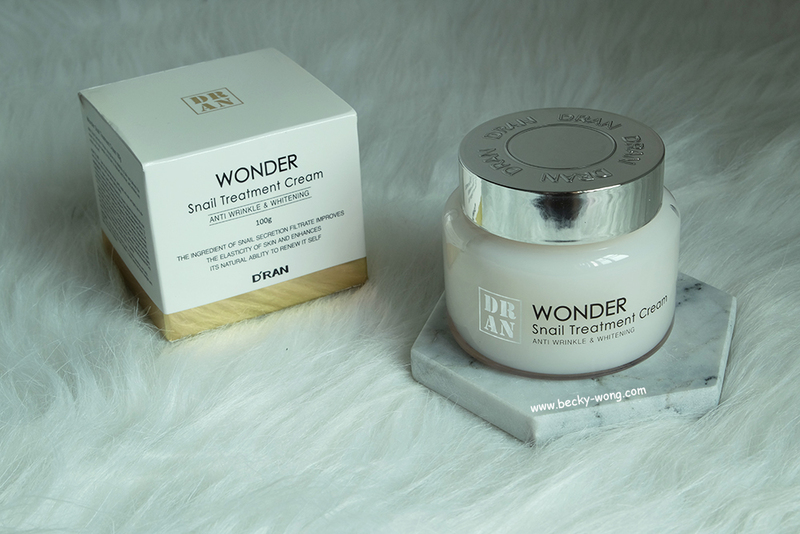 Let's not forget to apply moisturizer too - D'RAN Wonder Snail Treatment Cream. Yes, snail! In 1980 a Chilean family established a snail farm with the intention of exporting snails to Europe for gastronomic purposes. But the family discovered the farmer's hands became extremely soft, and over time, dermatologist discovered the benefits of snail mucin. 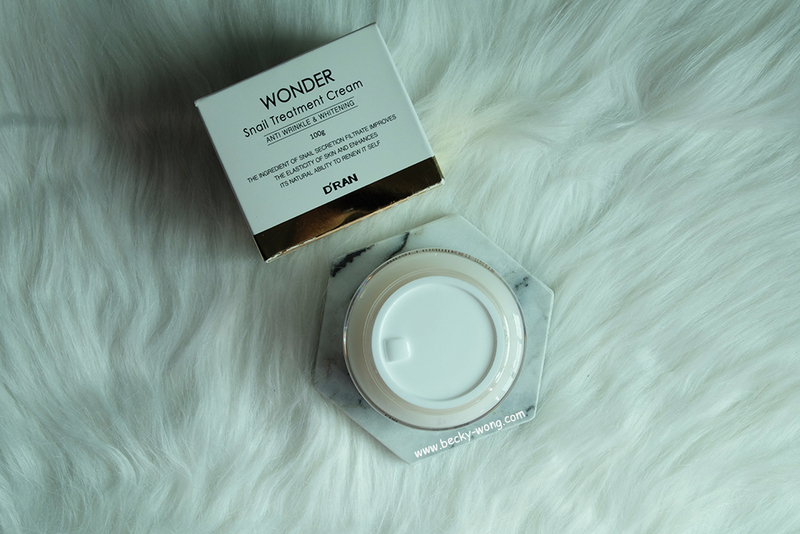 Since then, snail mucin has become a popular cosmetic ingredient and skincare product worldwide. 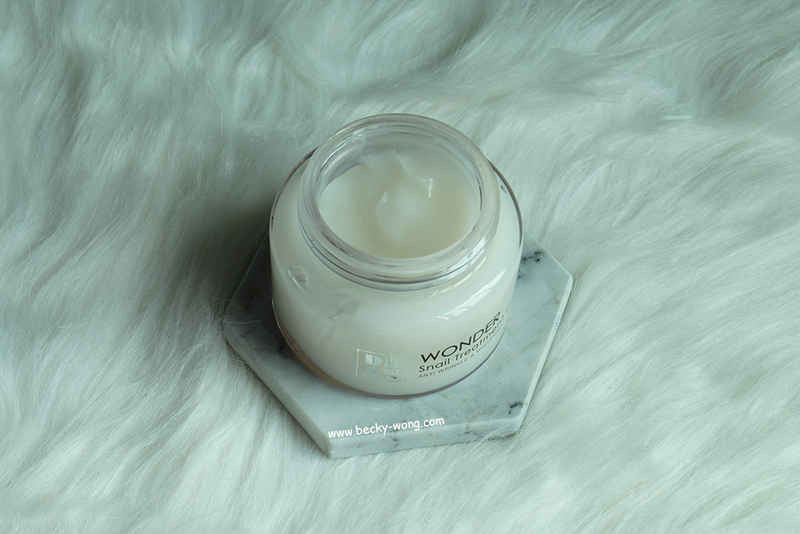 The treatment cream is said to diminish scar tissue, enhance skin barrier, while restoring radiance and moisture in the skin. 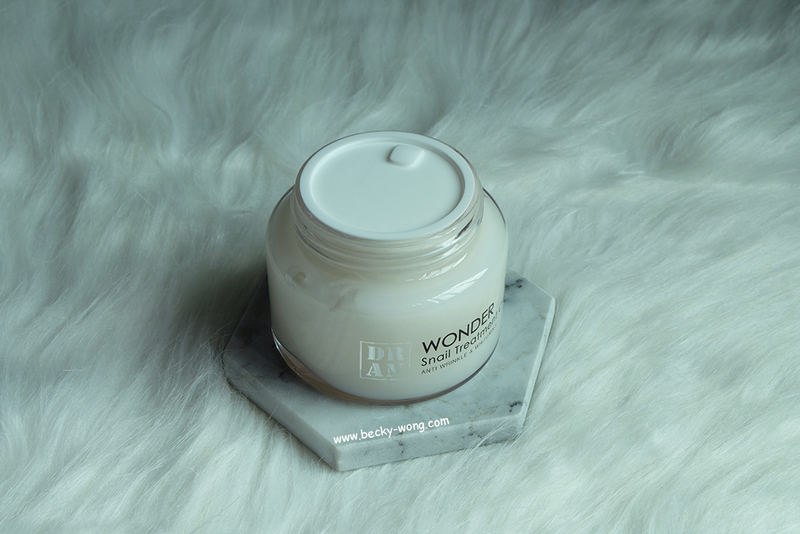 D'RAN Wonder Snail Treatment Cream delays the aging process of skin tissues and protects the skin with antioxidant action. Snail secretion filtrate and silk worm restores the deep luminosity of young-looking skin as they nourish the skin at the same time. I was very surprise to find the treatment cream is very light weight too. 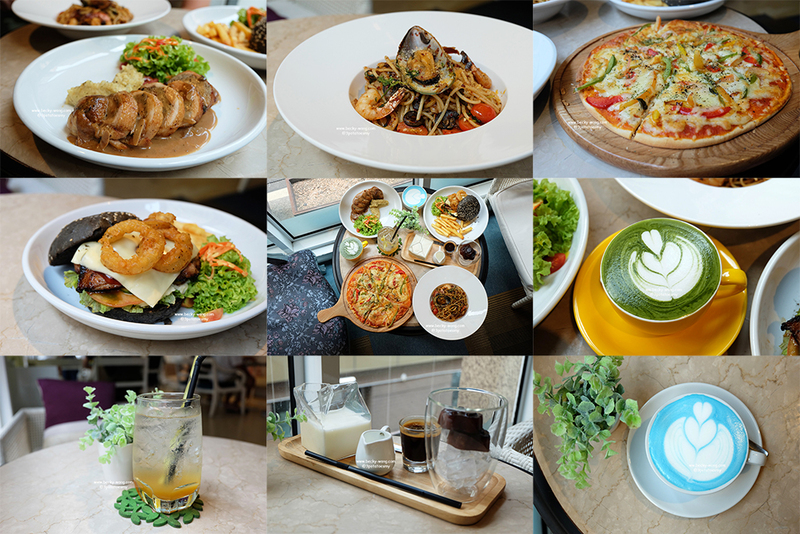 Despite the name "cream", it has more of a watery texture than a thick creamy texture like how your usual cream would feel like. Personally, I really like the treatment cream a lot. Not just because it get absorbs into the skin easily, but it leaves my skin feeling refreshing too. To know more about D'RAN, check out D'RAN Malaysia Official Facebook Page. 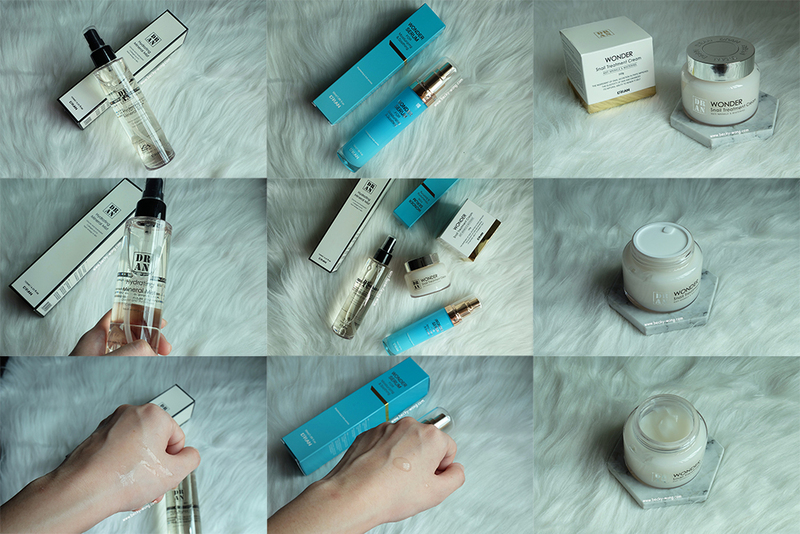 For product advice and skin analysis, you can contact Debbie at Wechat (TeddyDebbie) or on Facebook.